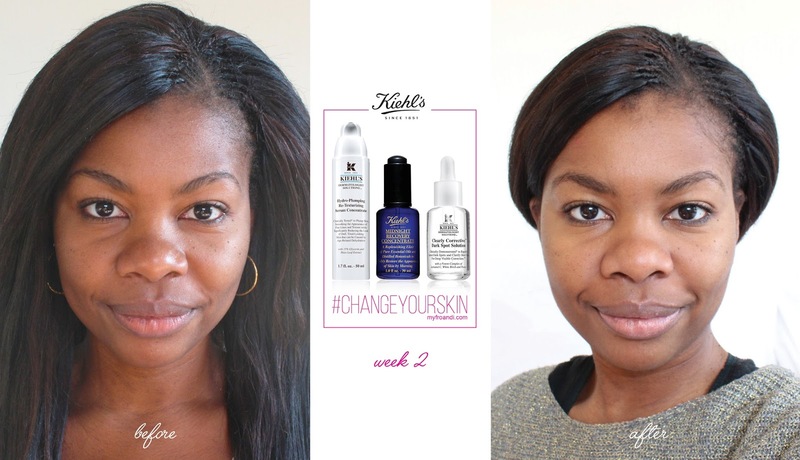 I’ve completed my second week of Kiehl’s and BeautyBulletin’s 28 day #ChangeYourSkin challenge, so an update for this week is due. To recap: Kiehl’s invited me to take on their challenge under the promise that they can change my skin in just 28 days using their super serums: Midnight Recovery Concentrate (R665), Dermatologist Solutions Clearly Corrective Dark Sport Solution (R665) and Dermatologist Solutions Hydro-Plumping Re-Texturising Serum Concentrate (R675). For more details on each of these serums and their ingredients, click here. I haven’t noticed that much of a difference between last week and now. I’m still applying all three products the same way and in the same order. In the mornings, I first apply the Dermatologist Solutions Hydro-Plumping Re-Texturising Serum Concentrate and follow it up with the Dermatologist Solutions Clearly Corrective Dark Sport Solution. 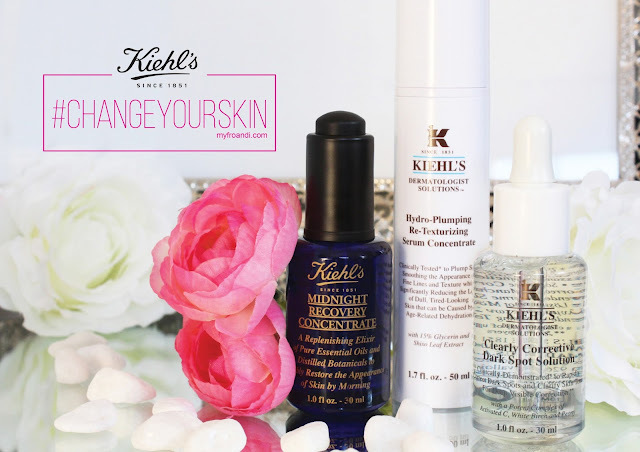 In the evenings I apply the same serums in the same order and end my routine with the Midnight Recovery Concentrate. I’m still waking up with fresh skin that doesn’t look or feel tired. The biggest difference I’ve noticed is that my lips aren’t cracking due to the dry air anymore. I make sure to put the Dermatologist Solutions Hydro-Plumping Re-Texturising Serum Concentrate on my lips every time and that’s made a big difference. I of course still use lip balm but I feel it’s given my skin an extra layer of moisture. Last week I mentioned that my skin was looking more shiny during the day than it normally did. This past week my skin seems to have regulated so I’m not blotting as often. I still haven’t really seen a difference in my hyperpigmentation. Being halfway through the challenge it could still be early days. I’m hoping that I’ll start seeing a change soon in those areas. Watch out for my week 3 update.